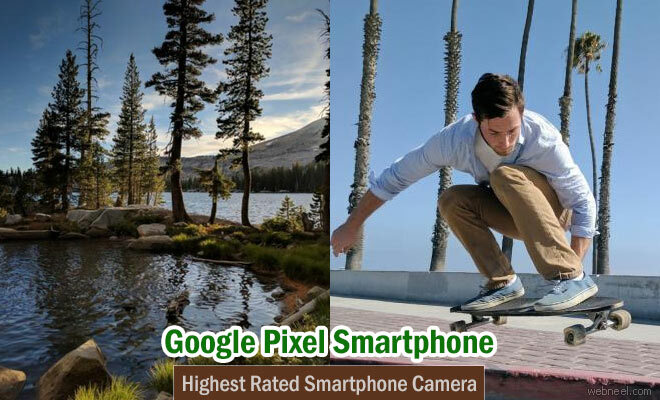 With DxOmark's record breaking score of 89, the latest google smartphone - google pixel establishes itself as the highest rated smartphone camera ever. The image quality scores are impressive across the board, but it is particularly strong with a high level of detail from its 12.3MP camera. Quick autofocus, accurate exposure with very good contrast and white balance are added features. The strength of the Pixel smartphone camera is best seen in capturing images in the outdoors, even in low light, but it also performs well when taking pictures indoors. The Google Pixel and its phablet sibling Pixel XL both have an 8 MP front camera and a 12.3 MP main camera with an f/2.0 lens, phase detection autofocus and laser detection autofocus, "for sharp, crisp images." The devices can also shoot 4K video at 30 fps, on top of other video capabilities.